He will release an new album on 2011.06.08. 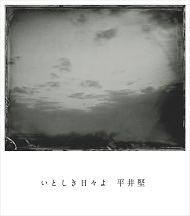 Ken Hirai Films Vol.12 will also be release in the same day. thanks for the sharing..... like it very much!! !